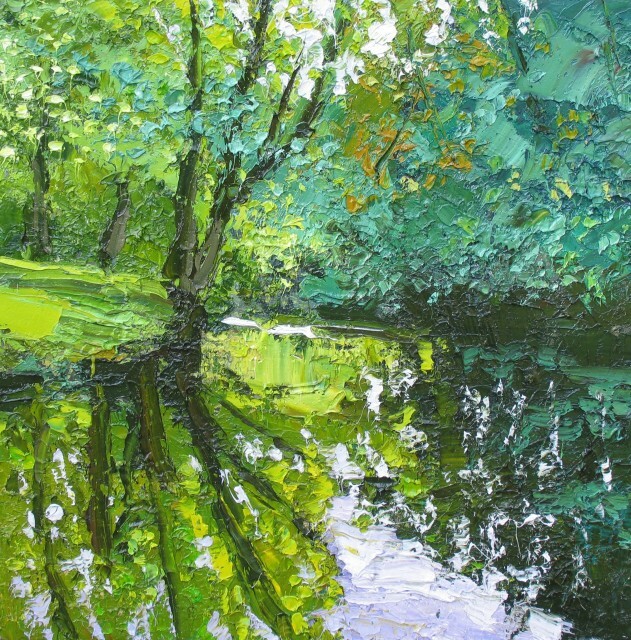 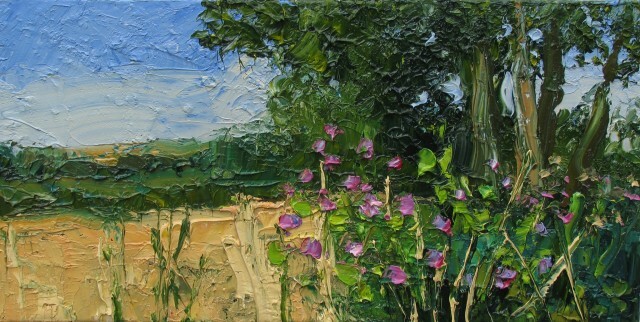 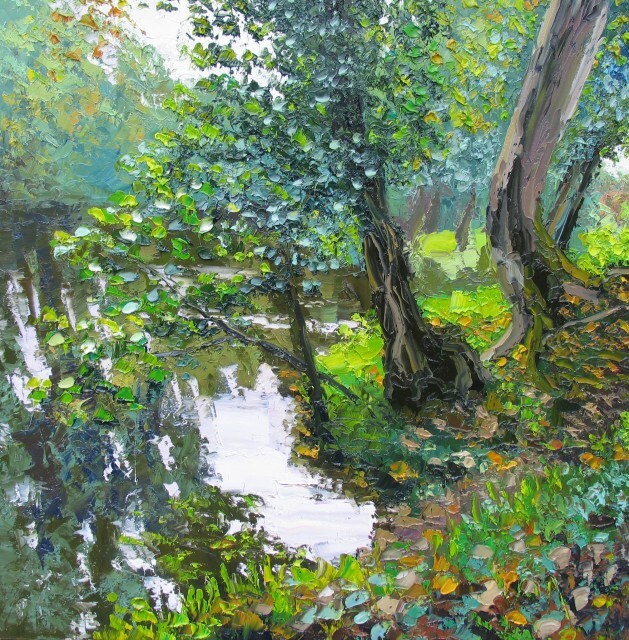 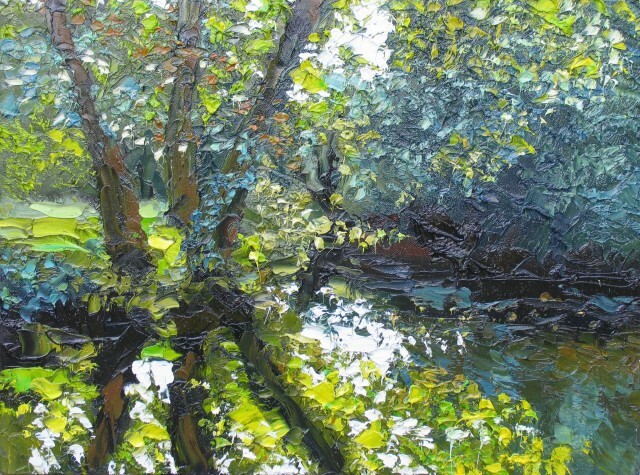 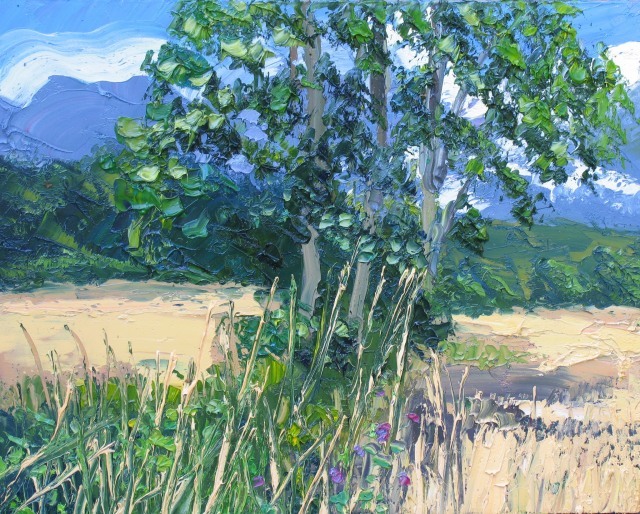 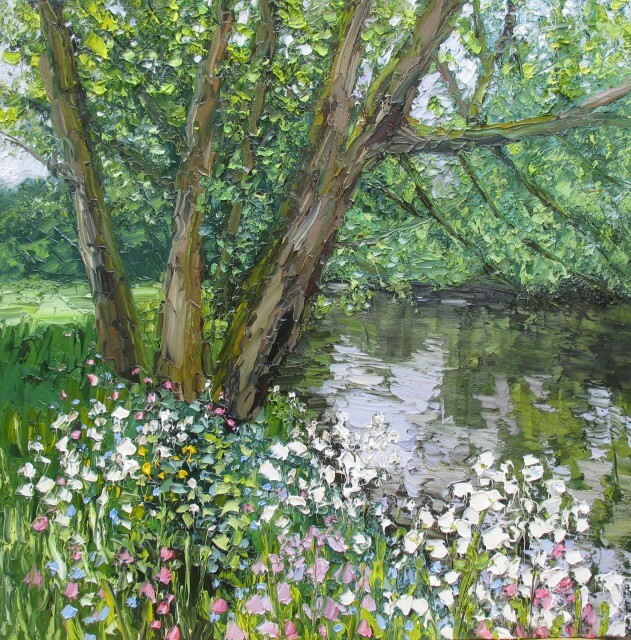 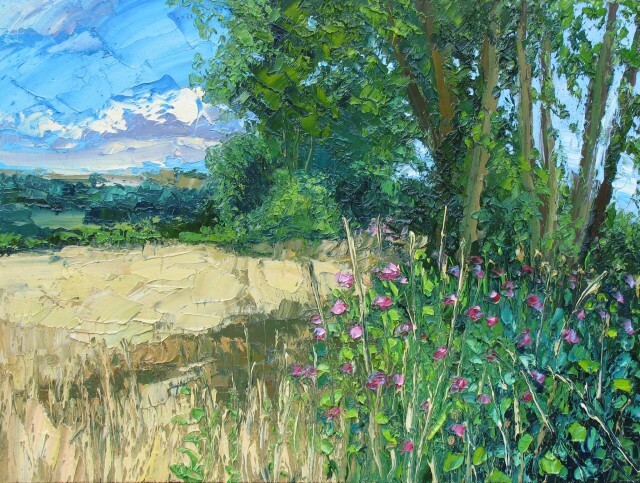 Colin Halliday reminds us of the simple beauty of landscape. 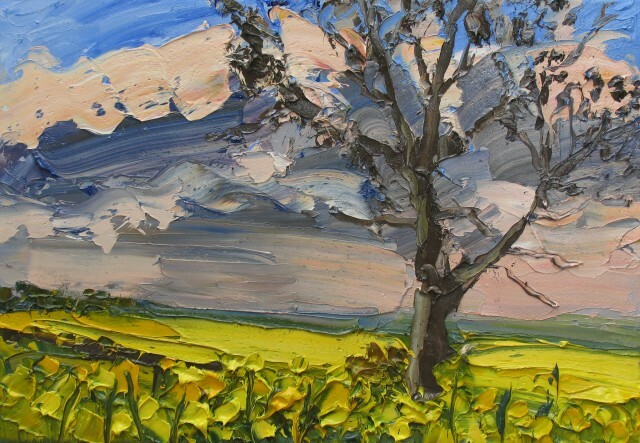 Influenced by the works of John Constable, Paul Nash and John Sergeant, in The Nature of Paint, he shows us landscapes full of humanity and individuality. 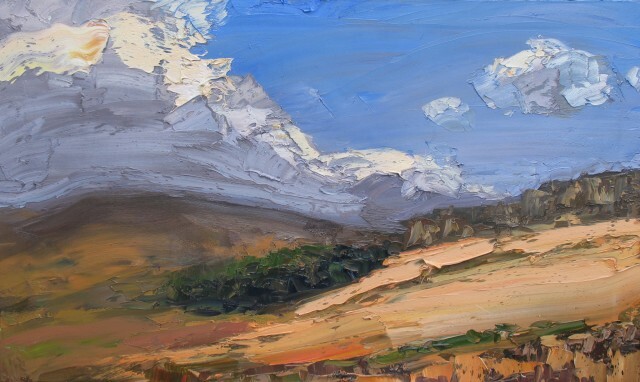 Halliday confesses that he is overwhelmed by the beauty and timelessness of landscape and it remains his chosen subject. 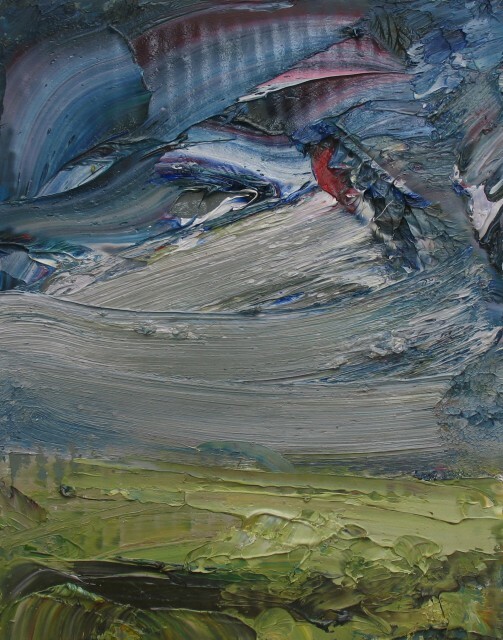 He believes that landscape does not seek to convey a message, story, idea or concept and within it he finds an escape from consumerism. 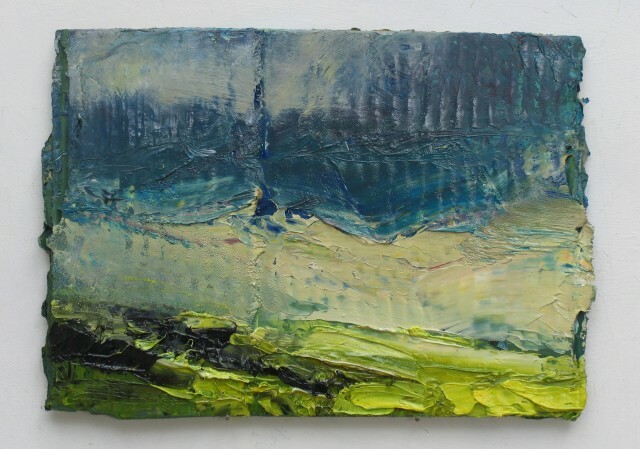 Halliday paints alla prima,“wet on wet” using a reduced colour palette of pure oil paint – cadmium yellows and red, lemon yellow, blue ultramarine, titanium white and cerulean blue. 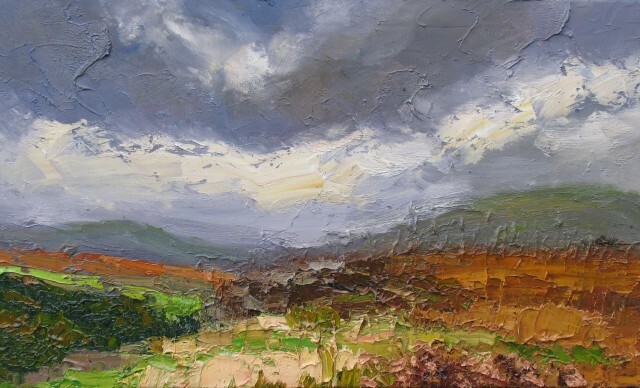 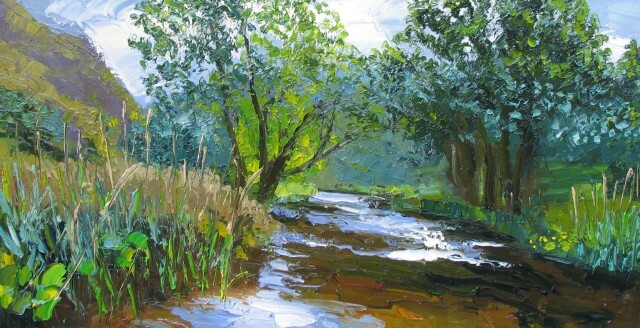 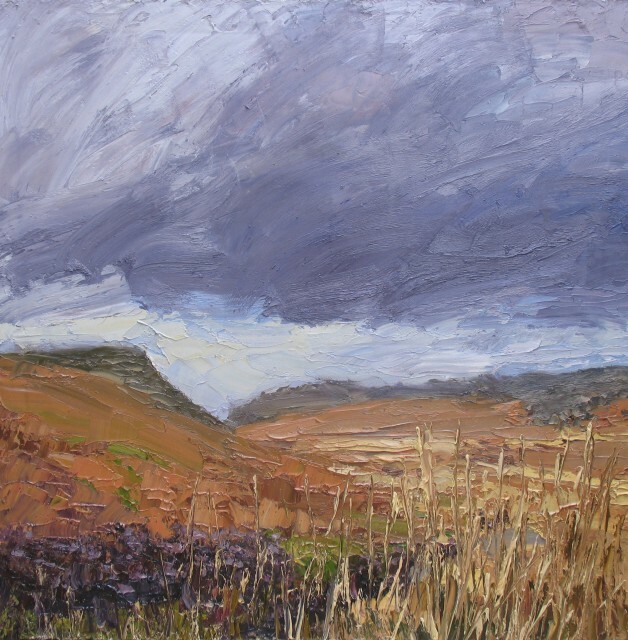 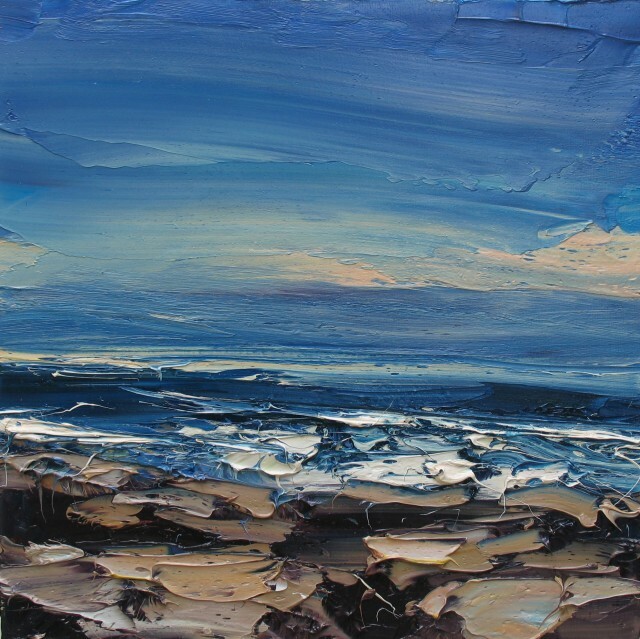 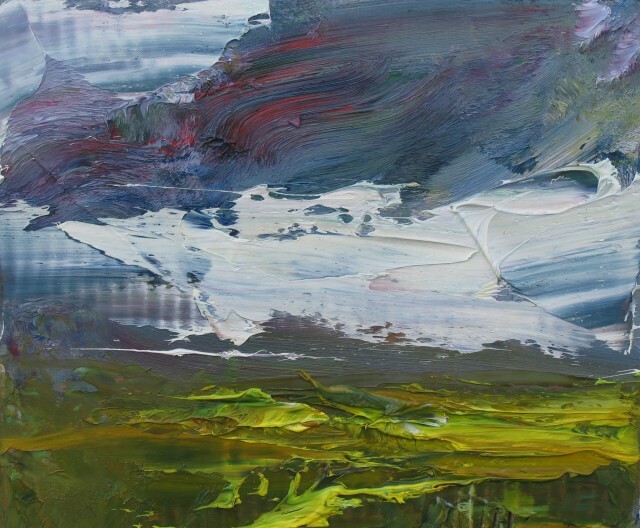 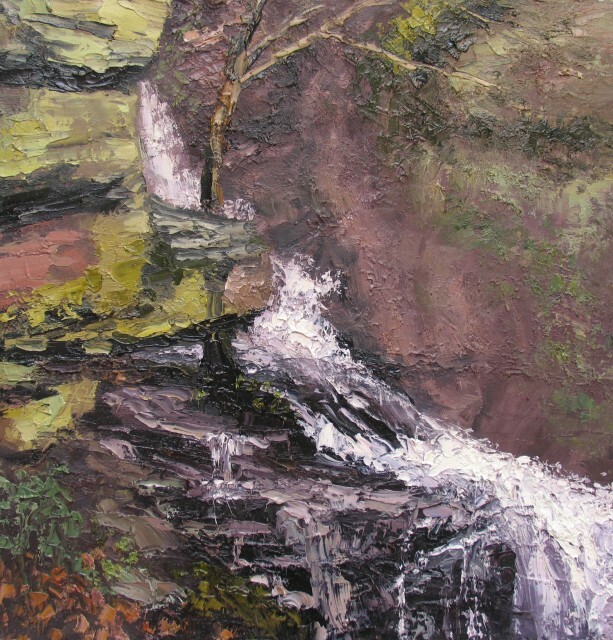 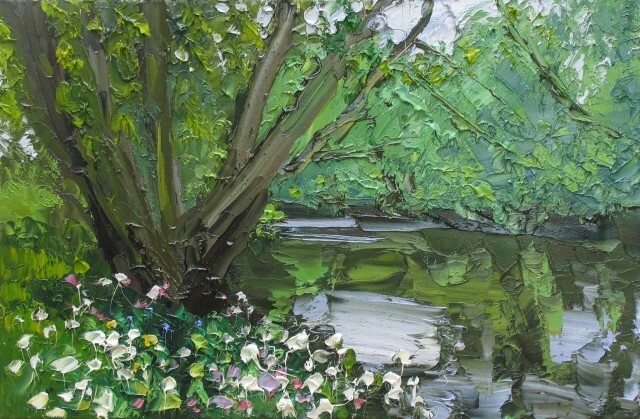 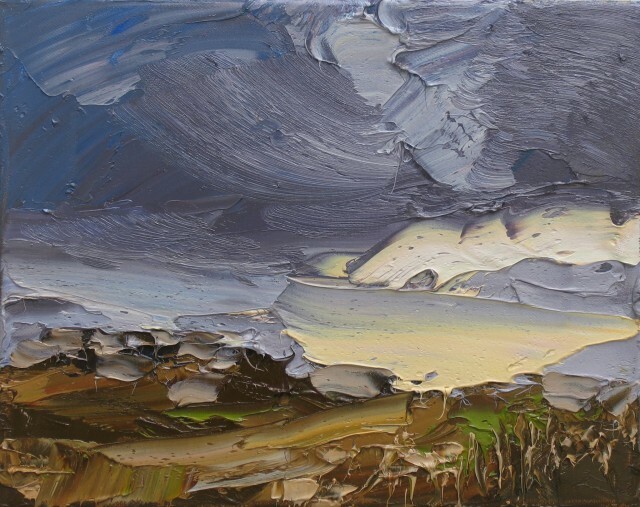 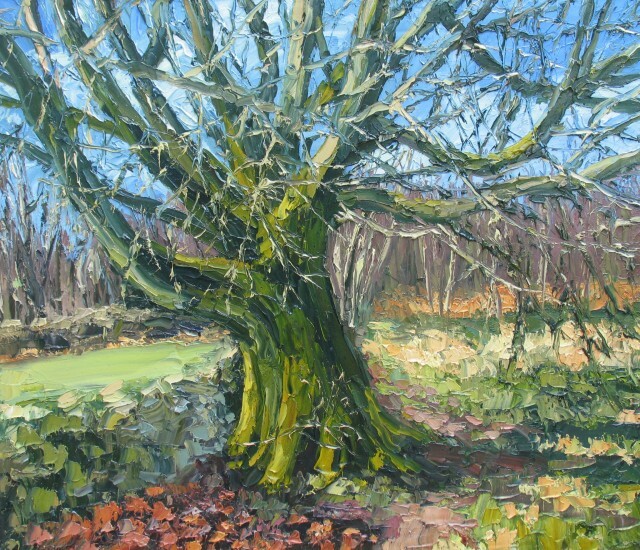 He paints standing up on location, in all seasons and weathers using a camping table as a makeshift palette, big palette knives and a large amount of paint. 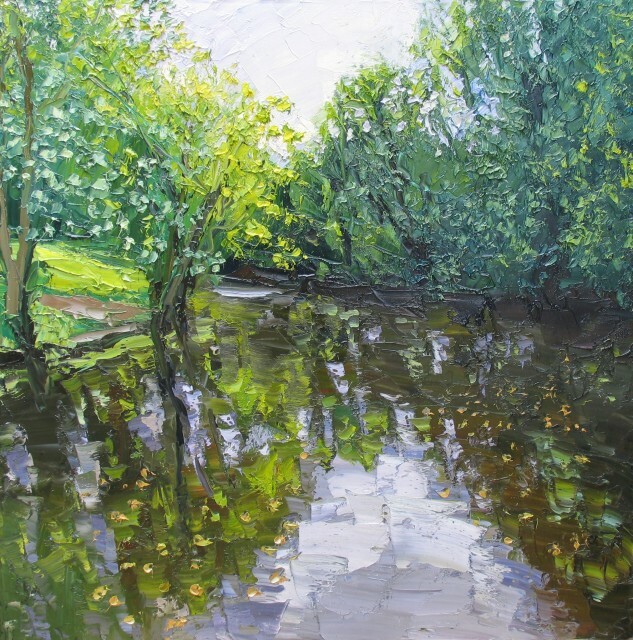 He started painting “plein-air” nine years ago, painting quickly to maintain the energy in the marks, re-painting what does not work. 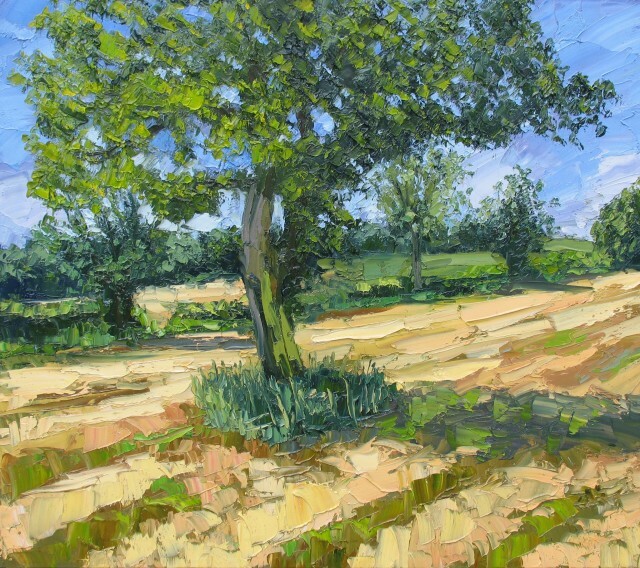 The end result is that he creates pieces that pulsate with energy and life, giving a genuine sense of light and colour. 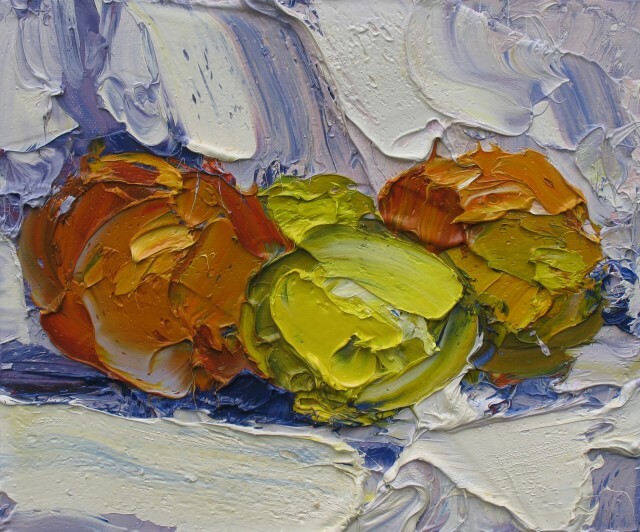 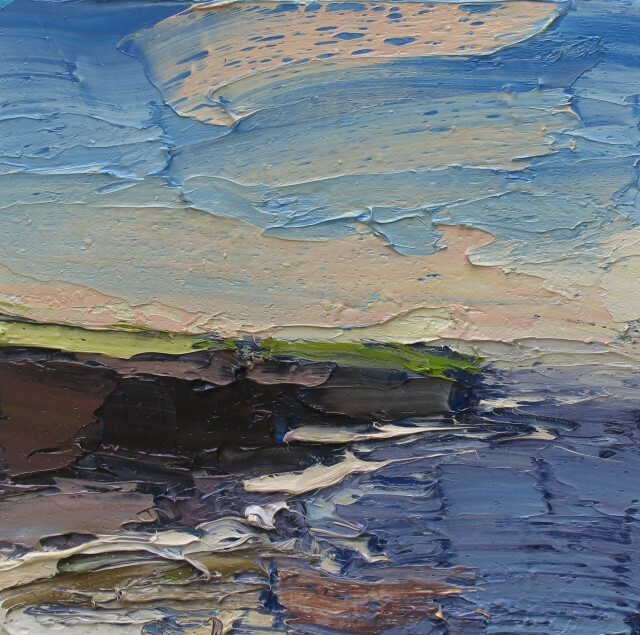 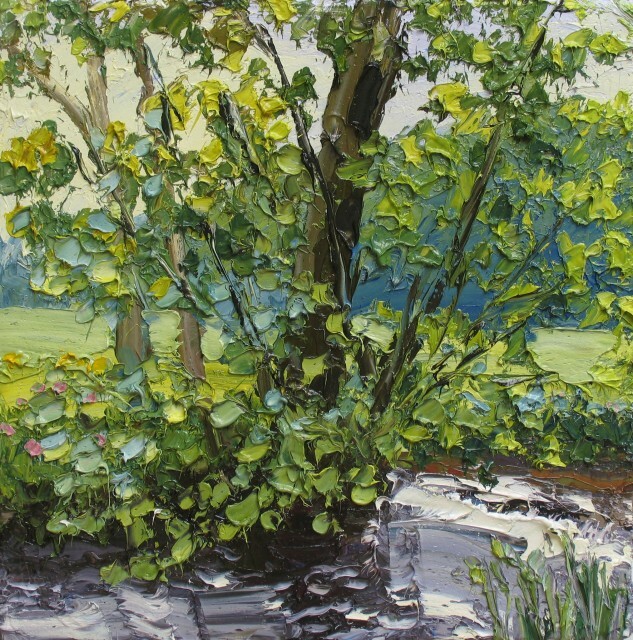 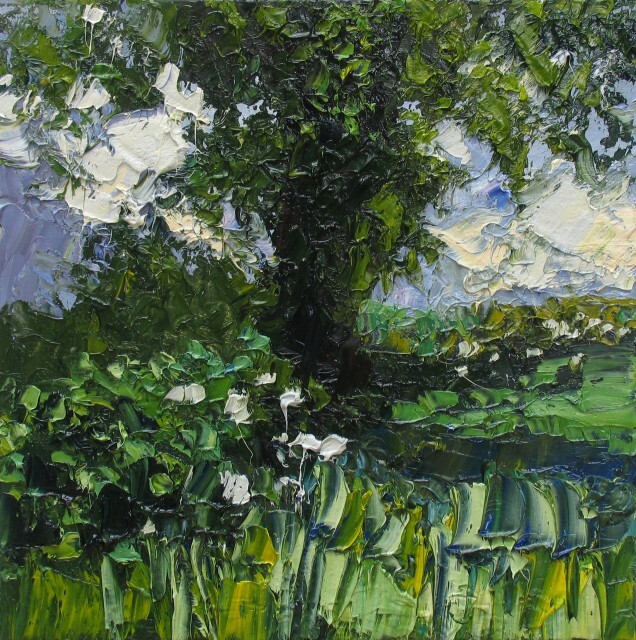 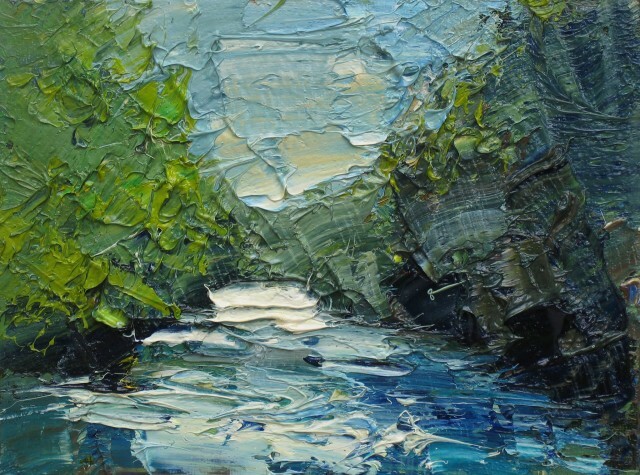 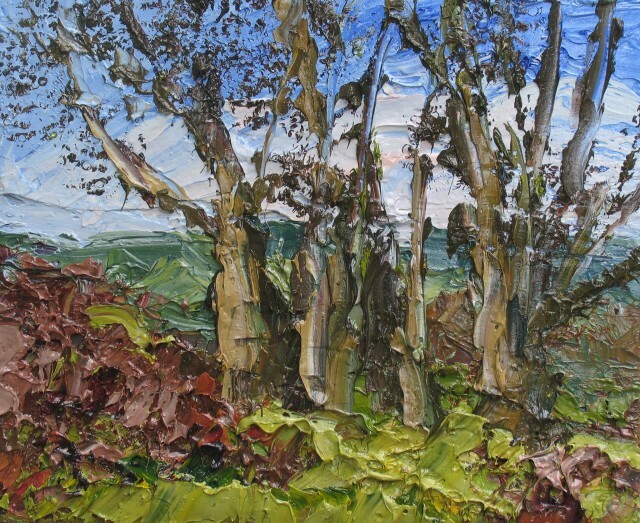 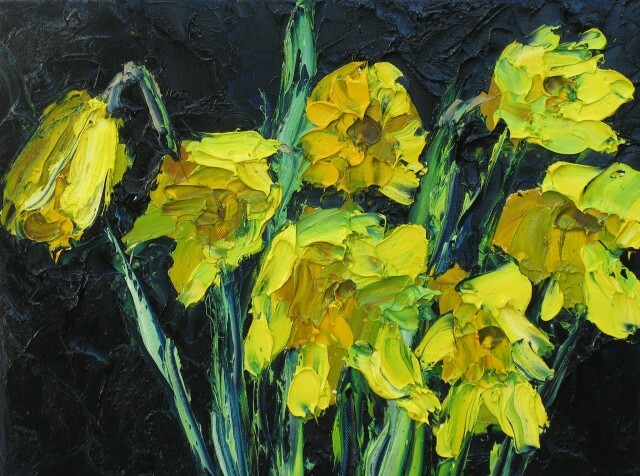 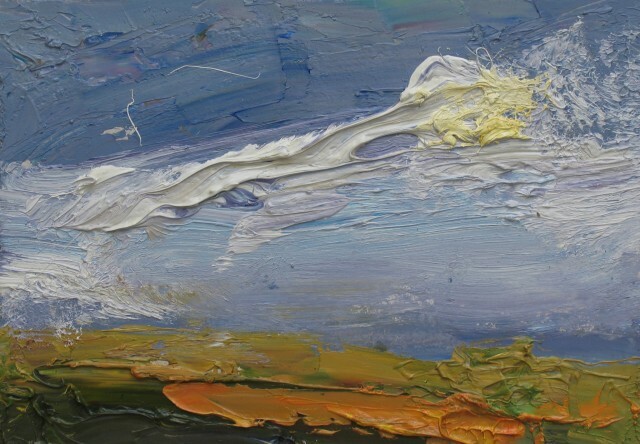 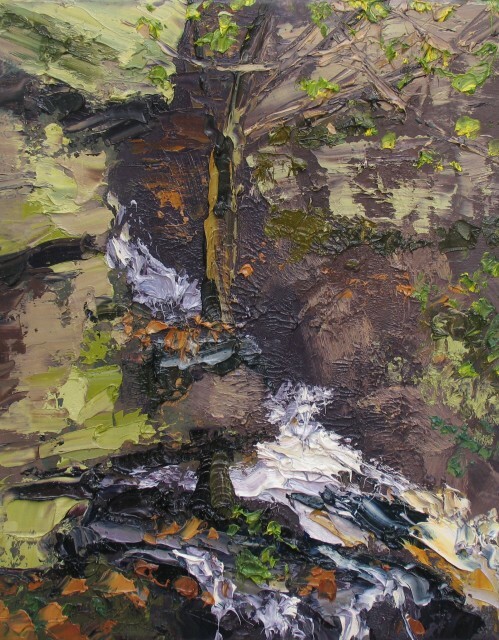 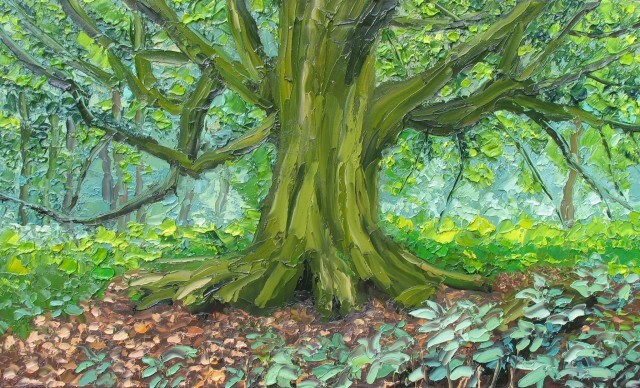 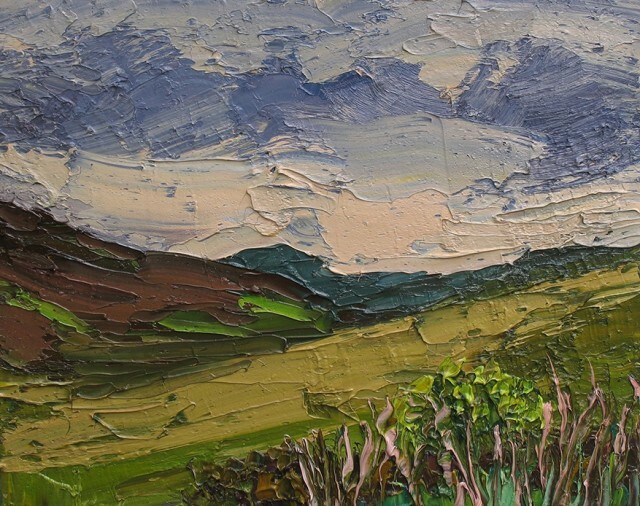 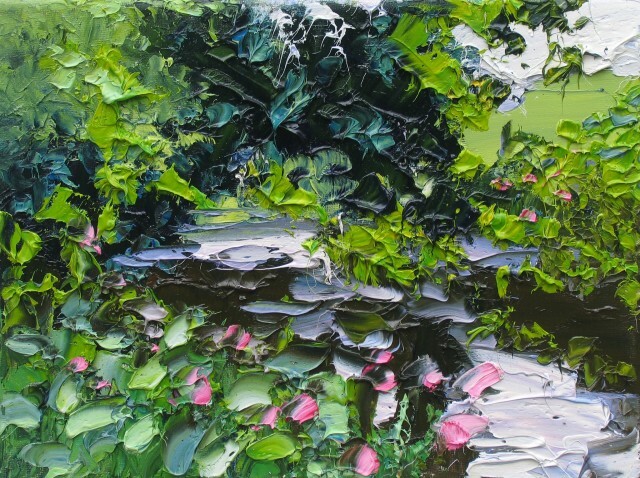 The sheer physicality of the impasto technique; thick and generous and expressively applied, helps make a piece an object in its own right. 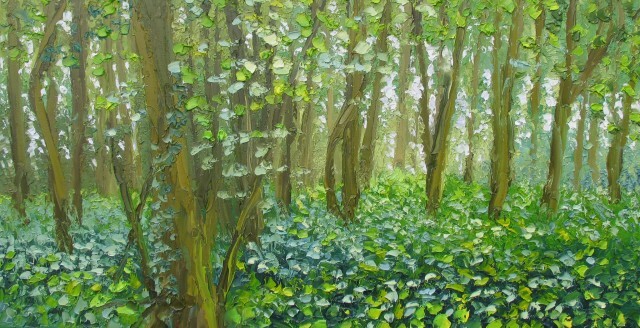 From a distance, the detail is apparent but as you move closer all the marks and colours appear in isolation. 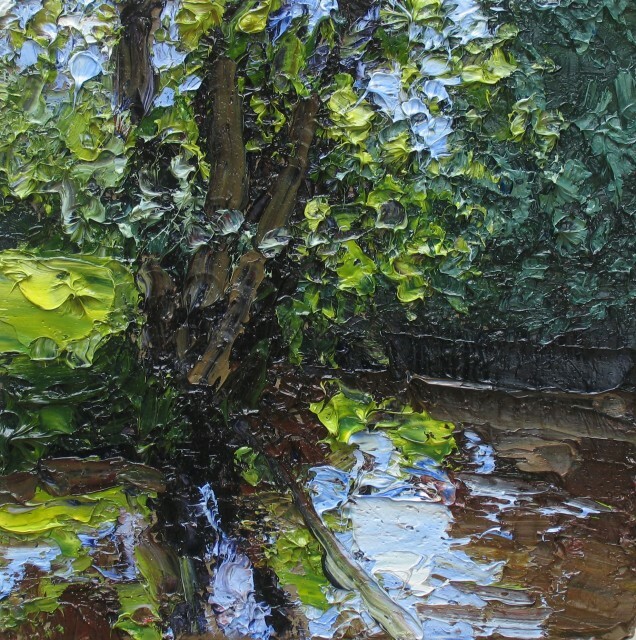 The more complex that apparent simplicity seems, for Haliday, the better. 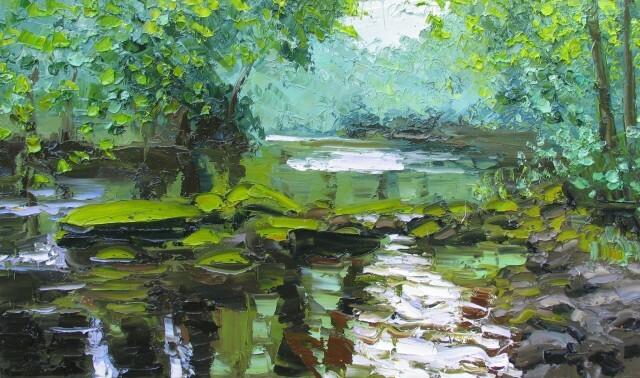 In this way he seeks to show the layers, the depth and the beauty of his work.